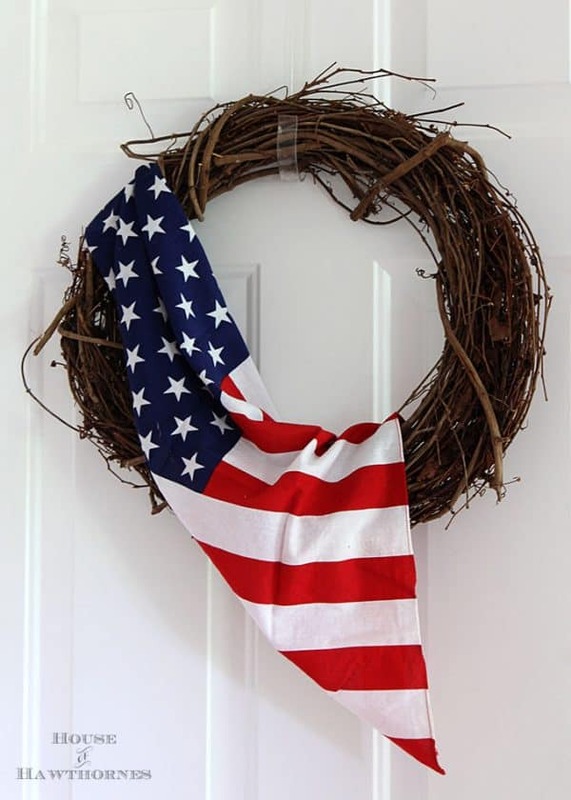 Who decorates for Independence Day? 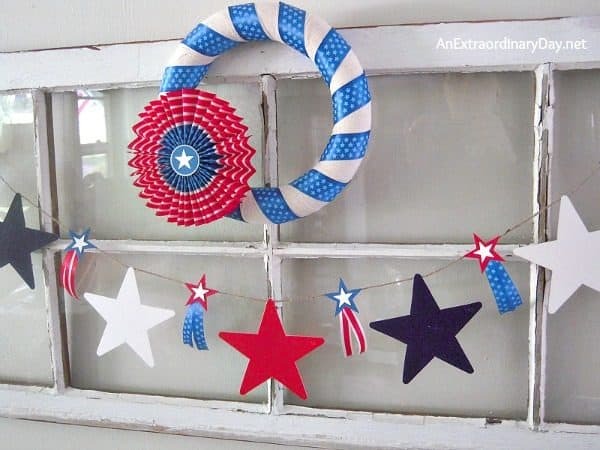 I usually pull out my flags and red, white, and blue home decor to display from Memorial Day through July and it’s about time to get it out again. One thing I don’t have is a wreath. 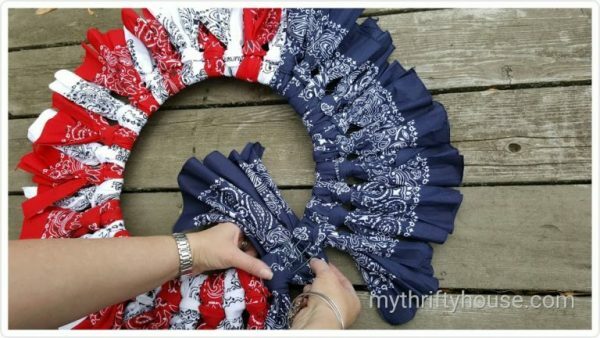 So today I did a little research to find quick and easy 4th of July wreaths to make. 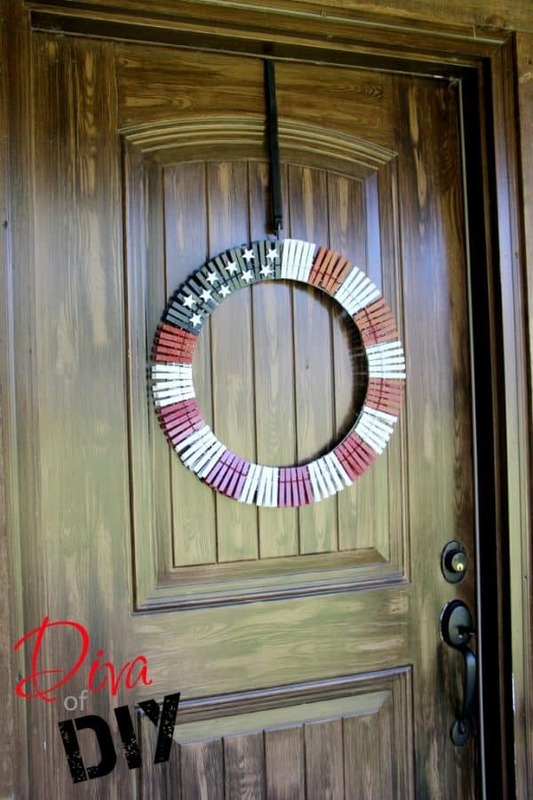 Hope these will inspired you to get a little patriotic decor going on your front door! 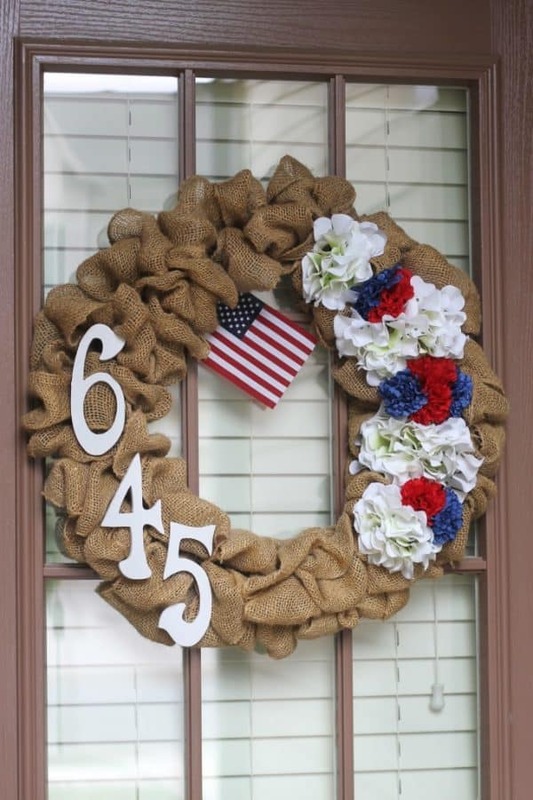 $5.00 4th of July Wreath – Made with a pool noodle! 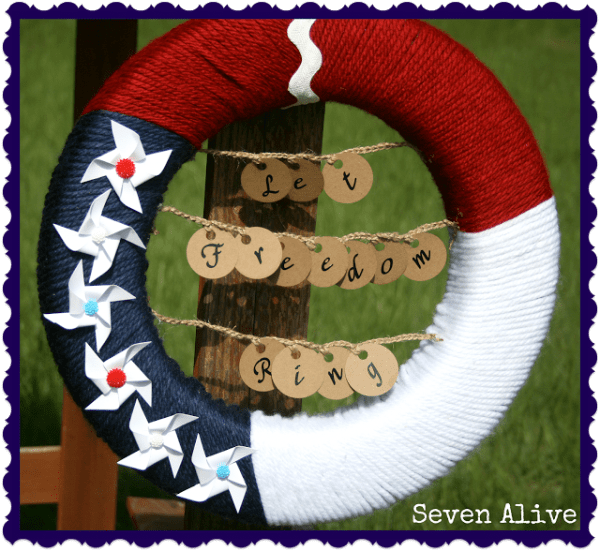 Repurposed Tie Wreath – An excuse to go to the thrift store! 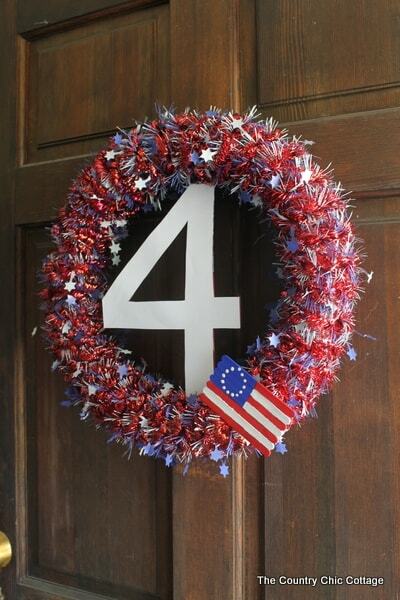 I would love to hear how you decorate your front door for July 4th. Leave a comment and let me know. I love to hear what my readers enjoy making. Thanks for reading and sharing my article! 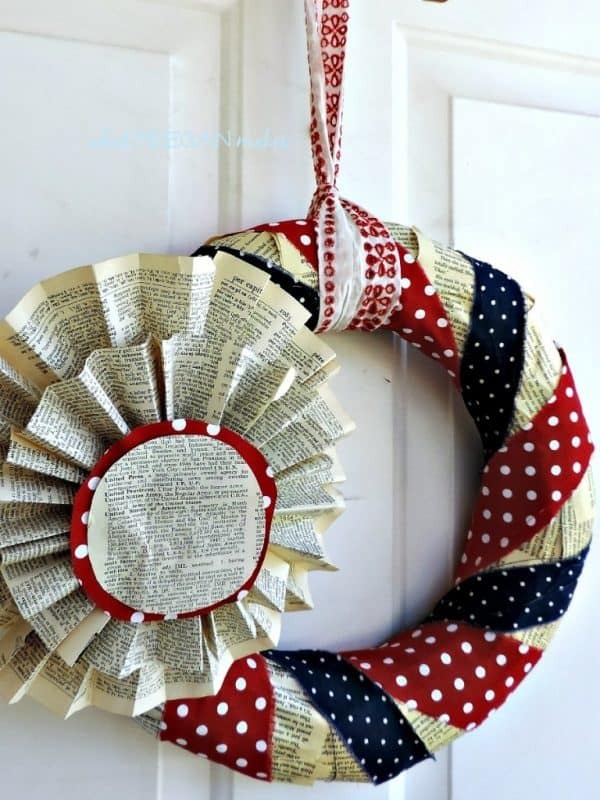 Thank you for including my book page wreath. I am honored. I happily pinned all of your beautiful features. Thanks again, sweet friend. You’re welcome! I love your projects!!!! What a great variety here and definitely something for everyone. Thanks for linking up and sharing with us at #overthemoon. I’ve pinned and shared on social media. Have a great day and see you next week! 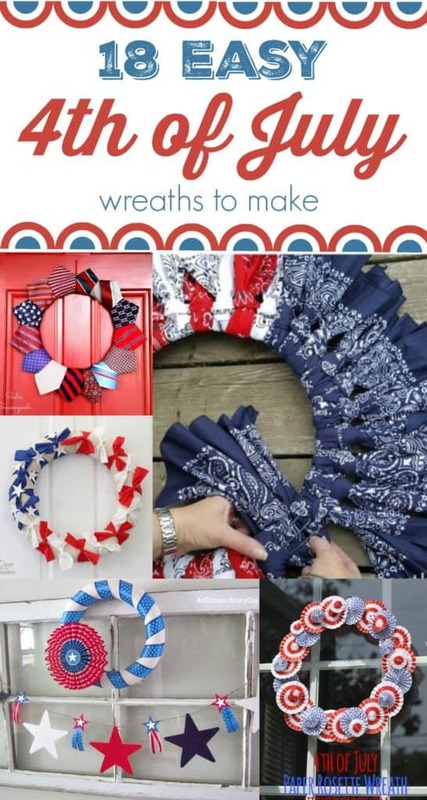 Thanks for sharing a great collection of 4th of July wreaths. 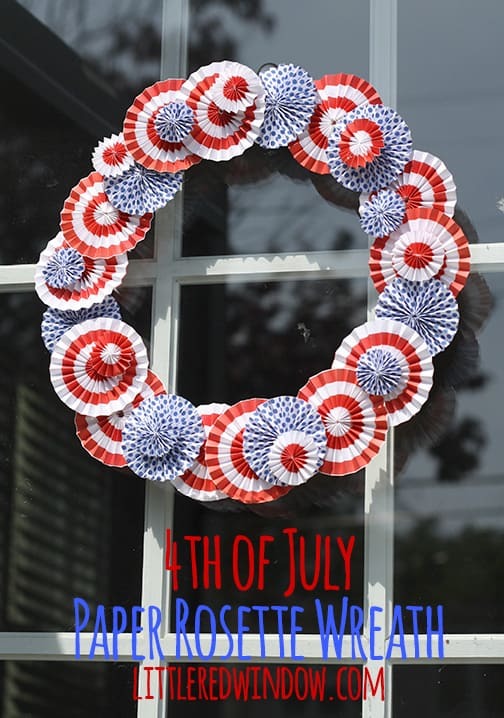 I particularly liked the rosette wreath, although having just made some rosettes for my 4th of July tablescape, I wouldn’t exactly call it easy. 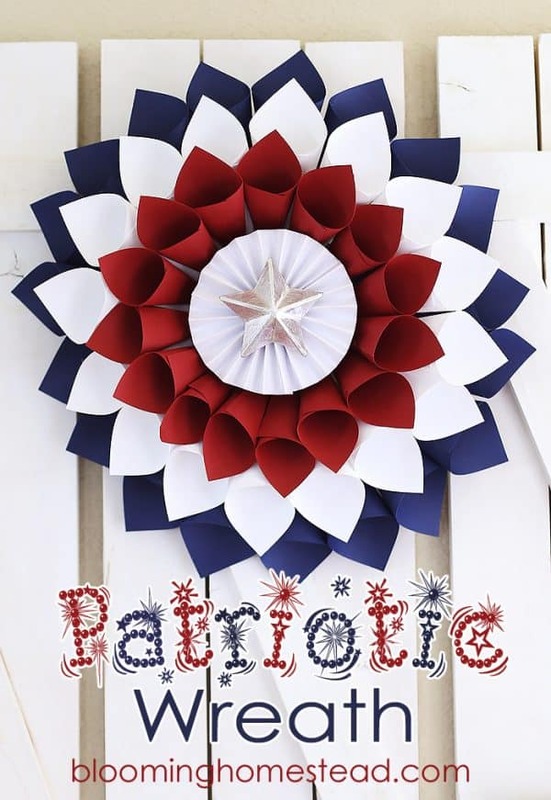 I found your post through the Craft Schooling Sunday linkup! 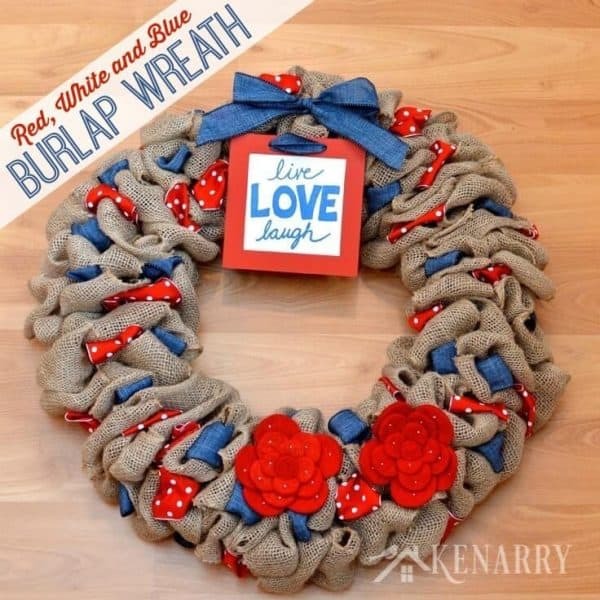 I love this roundup of wreaths. 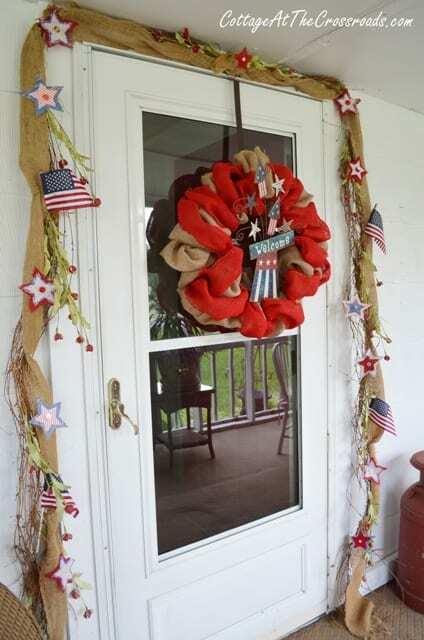 I’ve been wanting to make patriotic wreaths for our front doors & these ideas are awesome! I really like the one made from the pool noodle! 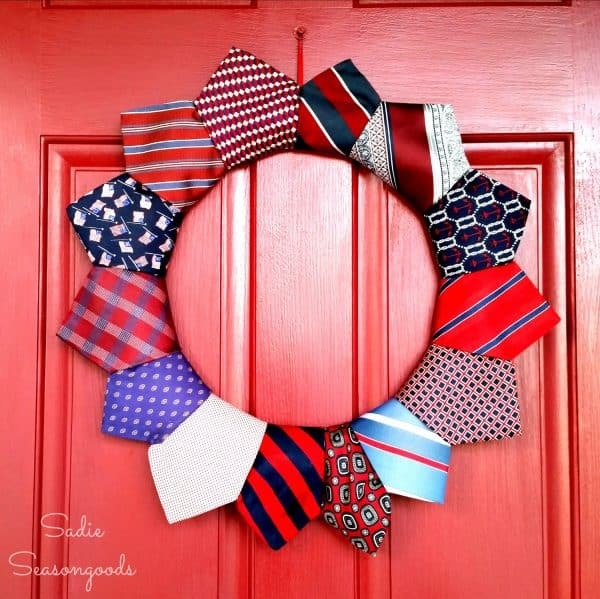 I love all things red, white, and blue. Thanks for sharing these ideas at What’d You Do This Weekend? You will be featured next Monday.